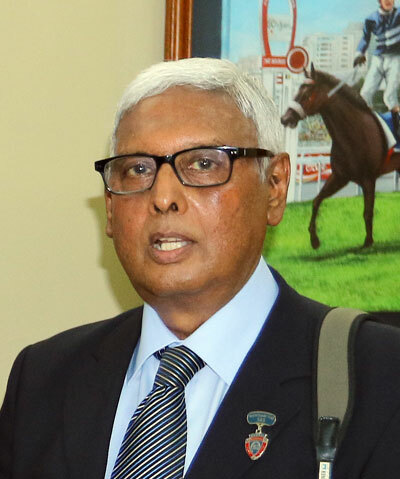 Ramapatee (Soun) Gujadhur took control of Mauritius' oldest stable in 2002, after spending time helping his brothers and his late uncle - Gunness (Mica) Gujadhur. Along the way, he has been champion trainer twice, scored 21 classic wins, and has saddled four champion horses - Hinterland(2004), Acuppa (2011), Kremlin Captain (2015) and Ready To Attack (2017). In 2017, he made history as he became the first trainer in over 80 years to win all four classic races in a single season. Ready To Attack won both the Duchess Of York Cup and The Duke Of York Cup, and Enaad and Tandragee won the Maiden Cup and Barbe Cup respectively. Runner-up in the Trainers' title race in 2018, he will look to go one better in 2019. Best Season: Champion trainer in 2012 and 2015.